NY Post Editor to CNN: Why Didn't You Challenge De Blasio on His Media Comments? 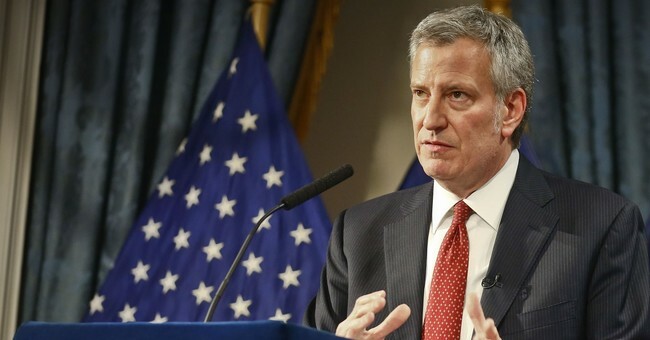 During an interview with CNN's Brian Stelter Sunday, New York City Mayor Bill de Blasio tried to imagine a perfect world without the likes of Fox News. That's because Rupert Murdoch's News Corp., he charged, has tainted culture. Those outlets "try to stir the most negative impulses in this country," he added. "But isn’t that like saying their fake news or they’re an enemy of the people?” Stelter pressed, comparing De Blasio's remarks to President Trump's rebukes against the media. That exchange was too softball for some of the journalists that work for the news corporation De Blasio targeted. NY Post editor Seth Mandel, for instance, wondered on Twitter why Stelter let the mayor's comments go unchallenged. Stelter saw the charge and left a YouTube link for Mandel to watch the whole interview. That, however, only made Mandel scoff. Stelter had had enough, telling Mandel his rage was "shocking and unbecoming." Seeing that Mandel "didn't want to have a real conversation," Stelter bid him adieu. Mandel wanted the last word.